Part One in the brand new series from Holly Hepburn, perfect for all fans of Cathy Bramley and Katie Fforde. It’s September and the new season is bringing change to the village of Little Monkham. 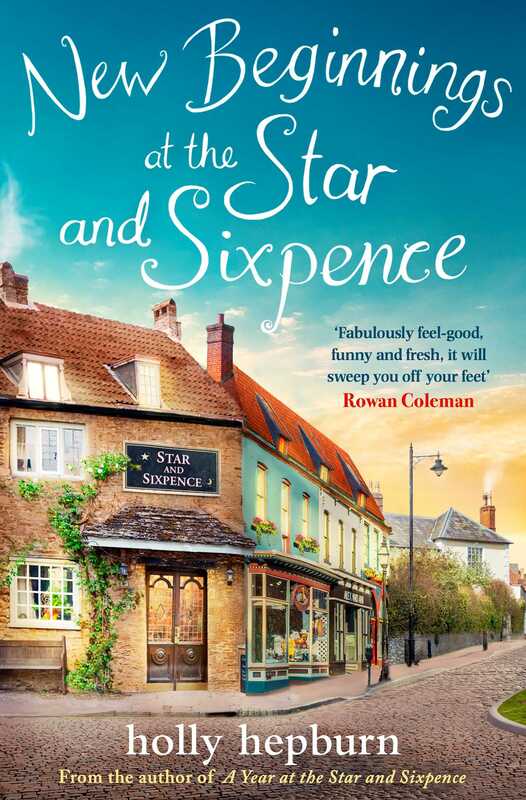 Nessie has moved in with the lovely Owen and his son Luke, leaving her sister Sam next door in their renovated pub, the Star and Sixpence. But is all change for the good? Sam and Joss have gone their separate ways and he’s left Little Monkham for good. New chef Gabriel Santiago is causing a flutter among the women of the village but Sam is determined not to make the same mistake again and keeps things strictly business between them. But an inconvenient attraction to Gabe is the least of Sam’s worries when an unexpected visitor arrives at the Star and Sixpence. Who is Laurie Marsh and what does he want from the sisters? If you loved Part One of the LAST ORDERS AT THE STAR AND SIXPENCE series, pre-order Part Two: Christmas Kisses at the Star and Sixpence now!